Michael Georgio has jumped 35 places up the one-year ranking list following his incredible victory at the Coral Shoot Out on Sunday night. Georgiou had never previously been beyond the last 16 of a ranking event, but went all the way to the top prize in Watford, beating Graeme Dott in a dramatic final. The £32,000 top prize sees him leap from 65th to 29th, getting him into the top 32 just in time for the Ladbrokes World Grand Prix which runs from February 19 to 25. His reward is a match against Luca Brecel next Monday evening – click here for the full draw at the Guild Hall. Dott, runner-up in the last two ranking events, climbs from 17th to 14th. Martin O’Donnell reached the semi-finals of a ranking event for the first time in his career and he’s up ten places to 65th. Mark Davis was the other losing semi-finalist and goes from 52nd to 45th. The one-year list will also be used to determine the field for next month’s Ladbrokes Players Championship in Llandudno, with the top 16 qualifying for North Wales. As it stands there are four players in the top 16 of the one year list who are outside the top 16 of the two-year list. On the official two-year ranking list, Georgiou is now among the world’s top 64 for the first time having flown up from 73rd to 59th. Dott is up two spots to 23rd while O’Donnell is up eight places to 84th. 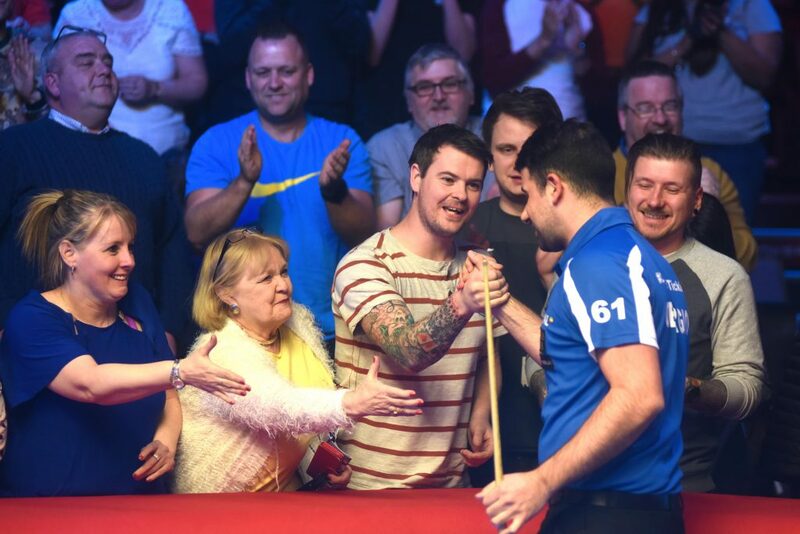 Dott also now stands 22nd in the Race to the Crucible with five counting events to go, £96,525 behind 16th-placed Mark Allen.